“Adding power makes you faster on the straights. Subtracting weight makes you faster everywhere.” Colin Chapman, Founder, Lotus Cars. 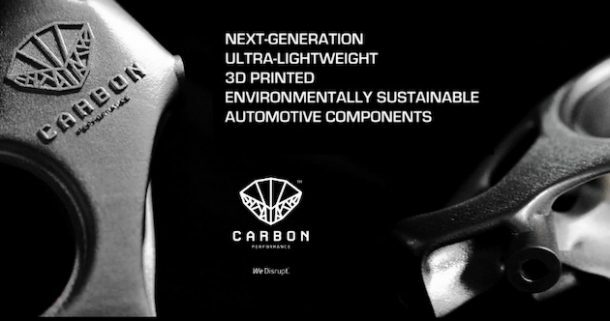 Being the world’s first automotive company to develop and retail 3D printed automotive components and with a vision to reduce the carbon footprint of the automotive industry, Carbon Performance saves over 80,000 litres of fuel a year and 192 tonnes of carbon dioxide emissions a year through its weight savings and material savings. For every 300 cars on the road, Carbon Performance removes one car off the road. Carbon Performance recently developed a suspension upright for a Lotus Elise sports car, which was co-developed by Artificial Intelligence (AI), 3D printed in aluminium, was 30% lighter than any available uprights, had 25% improved camber stiffness, and it consolidated nine parts into a single component, reducing assembly time and costs. With a deep footprint in Industry 4.0 technologies and a mission to manufacture its components in the UK, more specifically the North, Carbon Performance signed an MoU with the government through the Northern Powerhouse programme to promote innovation and enterprise in the North of the country. The company is also part of the ‘Future of British Manufacturing’, a consortium that aims to bring advanced manufacturing to the UK. The existing buying experience of automotive components is very stressful and boring. To mitigate this, Carbon Performance has developed its own Augmented Reality app, where consumers are offered a ‘Try-Before-You-Buy’ buying experience using virtual garages. Users can scan real life cars or use virtual cars to try parts like alloy wheels, brake calipers, car exterior colours, interior design specs, etc. The Carbon Performance app also offers virtual test drives and virtual showrooms for car companies and car parts brands and retailers. Motorsport has always been a major focus for Carbon Performance, as every single gramme of weight reduction can make or break the race. Carbon Performance offers bespoke titanium and aluminium 3D printed components such as suspension uprights, calipers, motorcycle swing arms, etc. The company also specialises in thermoplastics and engineering resins, and it works with many motorsports teams in the UK and abroad to improve their lap times and win critical races.